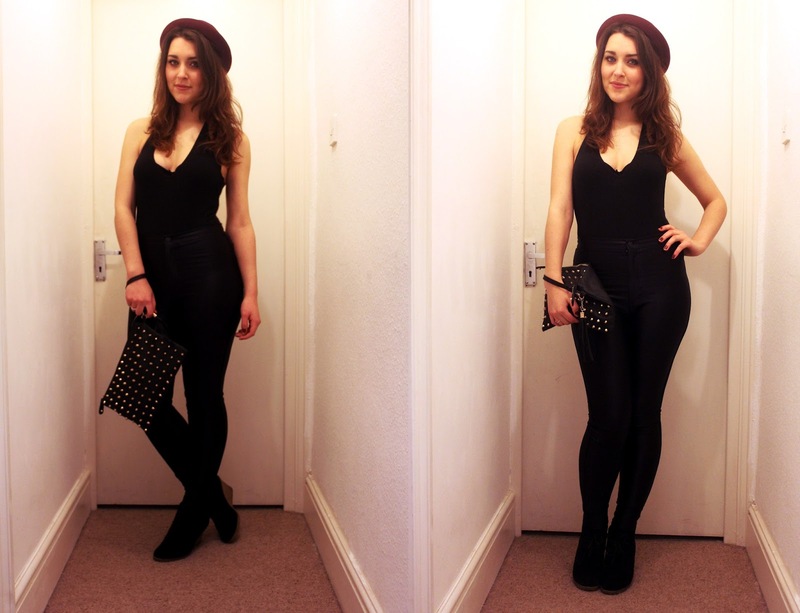 Hat - Urban Outfitters, Halterneck body - American Apparel, Disco Pants - American Apparel, Black wedges - Urban Outfitters and studded clutch - Primark. On my Friday my flatmate and I decided to be a bit naughty and go out to one of Birmingham's biggest clubs, Gatecrasher. I have lots of university work to be doing so I shouldn't really have gone out but I felt like I deserved it and I wouldn't be a proper student if I didn't go out right before a hand in would I? So I thought I would show you what I wore, this is the first time I've worn this leotard without a shirt on top as the whole of your back is exposed. I felt very naked but a whole bottle of wine later told me that this night was the night that I'd go without one. We had a really great time, we danced, drank plenty of cocktails and didn't come back home till the early hours of the morning. Everything you should be doing when at university, after all it's meant to be the best time in your life! I'm aware we look a little silly but these photos make me laugh so much, and I'll know I'll look back on these photos with fond memories. 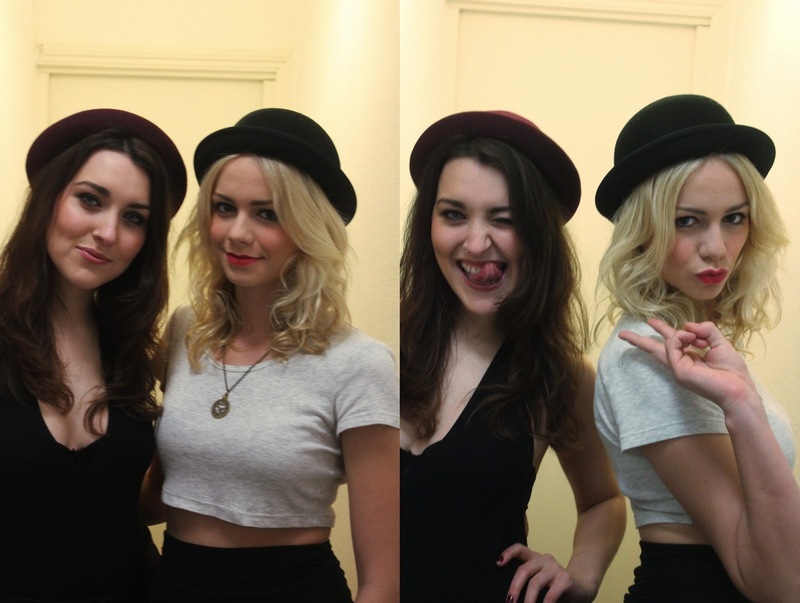 One of my flat mates said that we look like we should have been in a girl band, my absolute dream! My dear friend Amy also has also just started a fashion blog so you can check that out here! You looked great! I love the disco pants and body, xoxo. Thankyou it's always nice to hear when someone likes my outfit posts! It's a great copy of the £36 Topshop one for only £6 such a steal! beautiful photos! ahh makes me miss uni so much, can't wait to get back. love your hat! It's nice to be back at university after the break! You look ace, not many could pull off an outfit like that! I'll take that as a compliment I think haha? It's a bit cheeky though! WOW! That's a great outfit, it really shows off your figure. Beautiful outfit - I really love your bag too, can't believe it's Primark! I know me neither! It looks a bit more expensive then Primark!